Chrichton's World: Review Infamous First Light (PS4): Is this standalone DLC worth your time? Review Infamous First Light (PS4): Is this standalone DLC worth your time? 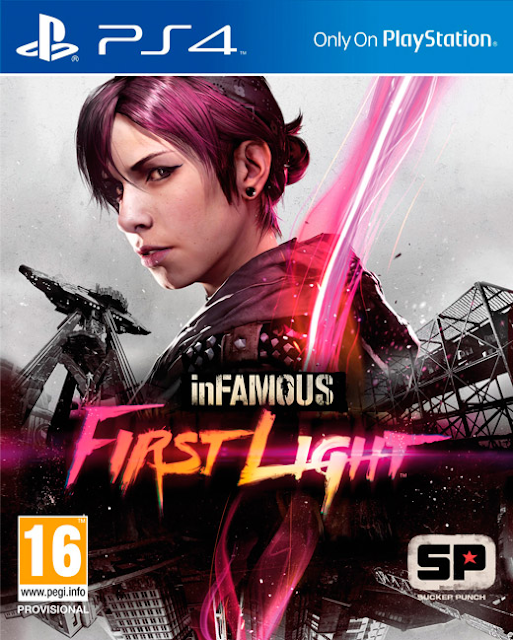 Infamous First Light puts you in the shoes of Fetch (Abigail Walker) and tells her story up to the point she got captured by antagonist Eugene. Her story is easily more heartbreaking and dramatic than than the story of Delsin Row. But as you are aware Fetch only has neon power so how does this translate into gameplay? Basically Fetch doesn't play that differently from Delsin in neon mode but at times you will miss the ability to change up powers since that does make things more diverse and fun. Actually it made me want to go back to play Second Son again. Of course the world is a lot smaller and you will have significant less challenges. But more than enough to enable you to upgrade the skills of Fetch something I can wholeheartedly recommend to do so since like Delsin you can't take much damage and you will need all the advantage you can get. Now it hasn't been that long I played this game but I can barely remember what I did since there is nothing in the game that stands out apart from some story elements. I can't help but feel that Sucker Punch dropped the ball here to give us more background on this world especially in relation to previous games. Like telling us what happened to Cole and other conduits and if these conduits are aware there are more of them. Because this technically could mean more Infamous games can be made in future. Just read that there is another DLC package called Cole's Legacy where the connection to previous games become more apparent. If you ask me that is some BS right there. This is why I dislike DLC. It's not intended to give you more story or gameplay but it's an easy way to make money. Damn you Sony and Sucker Punch. That being said compared to Infamous 2: Festival of Blood for example Infamous First Light is a big improvement. It was very enjoyable while it lasts. This game will make you appreciate Fetch a whole lot better. When I saw her in my evil karma playthrough I really felt more connected to her and Delsin. I wouldn't mind to see more of Fetch and Delsin together. But then they really have to step it up even further. So is it worth it? I bought it on sale for 3,95 euro on PSN if I remember correctly. And for that kind of money it definitely is. If it is offered for 9,95 euro or higher than it won't be.